Moonwave is really a pleasure to sail and cruise. Today we went to Royal Phuket Marina to get some fuel. On the way there we were flying the big yellow kite, just the two of us. She is so well reacting and a real gem. P.S. (30th Jan 2013) : This also works great with a bit more wind and the red 200 sqm kite and the two of us. 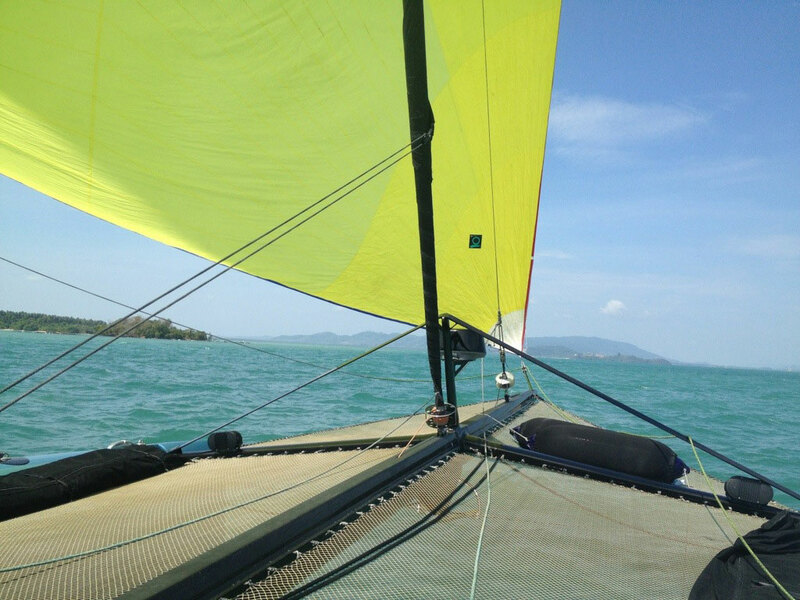 We even filled the batteries during the sail from Krabi to Ao Chalong Bay, South of Phuket. Would you like to come aboard? 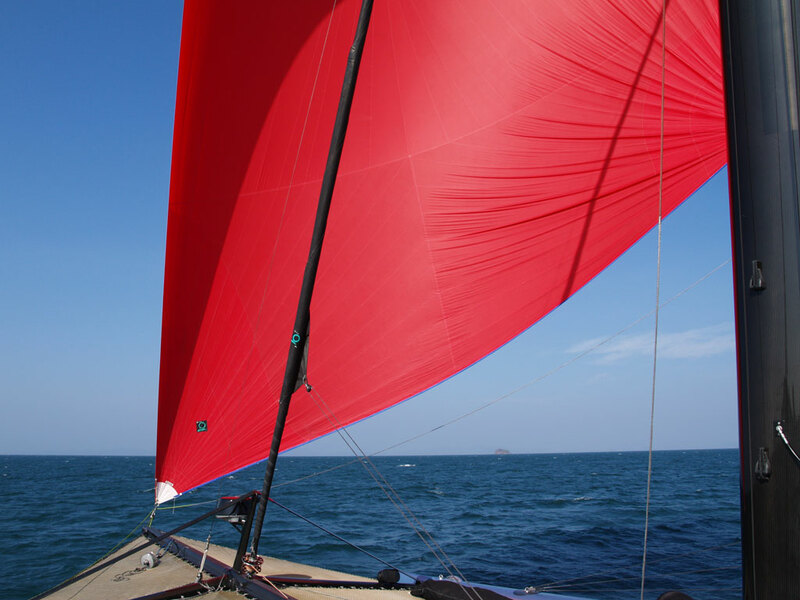 Here are informations about chartering our sailing yacht.